What is the Third Chakra? Are you in control of yourself or is Ego in control of you? Remember, YOU have the power for the journey begins with you, not with Ego. You have the opportunity to choose which pathway you wish to take. The reason being is that the Manipura or Solar Plexus Chakra relates to your personal power, self-mastery or if you wish self-mastery of the ego which represents the physical self. This is where having the balance of this vital chakra determines the actions you take in life both positive and or negative. When in balance you will find that you understand more about who you really are. That is you are a spiritual body having a human experience. It is here you will find that being balanced, will give you the acceptance of your place in life. You will find that you have a greater sense of self-knowledge and self-love for yourself. You are in control of your emotions and that Ego has no role to play in such matters. You are not swayed by negative energies but gain self-control and self-confidence in all you do in life. By finding self-love for yourself you will also find self-love for others and they will sense this via the positive energies you radiate out that becomes part of the energies that you are. A balanced third chakra will also give you the understanding and appreciation of life that is, with you and around you without the need to judge. The moment you start to judge and doubt others is the warning bell given that your chakra needs to re-focus and not allow the Ego to take over. One of the aspects you will notice is that people will feel your radiating presence. They will also tend to feel at ease of being around you, communicating with you and just happy to be part of your life. As you gain that self-love and self-control you energies rub off on others in contact with you. This is regardless of it being a physical meeting or communicating with the media. Think about this for a bit, have you ever felt at ease with meeting a stranger? It ls as though you have known them for a long time? Or when communicating with someone you feel at ease, safe and secure being around them? This is what a balanced Third chakra can radiate out to others. Just make sure that as you become aware of this that Ego doesn’t sneak in and twist your thinking. Ego has many tricks up its sleeve. The moment you start to lower your guard such as procrastinating, stop regular practices such as meditation, and other means for yourself then you may start to waver. That is the moment where Ego sneaks in and works its own magic to trouble you once more. Remember life is not perfect but you can create a balanced life by maintaining who you truly are. With daily practice then allow this to become your regular part of life. This can be some with some of the methods we will discuss further below with balancing your third or Solar Plexus Chakra. When you are under balanced there may be some emotional issues still that need dealing with. Remember emotions, relates to the second chakra where the third relates to how you are able to control your emotions. As emotions take effect, you may allow that self-control to wander or it becomes weaker as time passes. There is that Ego working its way again. To the point where there is no self-control for oneself. Instead, you allow others to have control over thyself. Being under-active will also give you the feeling of mistrust amongst others whether it is a stranger, friends or family members. Procrastination is a sign of an under balance or wavering chakra. Health issues can arise from an underbalanced third chakra. Such as stomach issues such as indigestion, stomach ulcers and cancer of the colon. One of the main issues with being over balance has been mentioned above. That is “THE EGO” This is one of the major issues for many when Ego is allowed to run amok and control your third chakra. Here you will find that you become critical of other people and especially yourself. This self-test can be done to work out how you are situated at the present moment with your Third Chakra. Grab a pen and paper then take a look at yourself in the mirror (No, don’t take a selfie but actually look into the mirror). 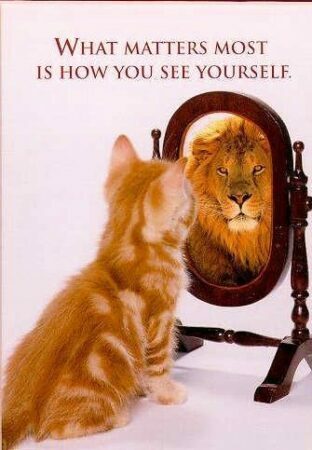 Have a good strong look at yourself and say what you see, feel and think. Be honest with yourself, as you do this write down what you felt, said and thought at the moment you looked into the mirror. Don’t analyse why you said that or why you are feeling or thinking of the words. For now, just write them down. For some, this may feel silly to do this and also say, in particular, I love you to yourself. This is very important in the healing process and not just healing for chakras but Healing for the Body, Mind, Soul, and Spirit. In fact, saying I love you in front of the mirror and acknowledging all that transpired in the process is a very powerful means of healing. Never underestimate the power of your true spiritual self. Make it a regular part of your daily routine to look into the mirror and if you come across anything else not covered previously then write that down as well. Always remember to thank yourself and to say I love you. Write it all down and take note. Keep your notes to yourself and read it in your own private time. Now after reading what you wrote, say to yourself “do I believe in what I felt, said and thought”? From here take note of both what you stated and what you truly believe. Give this some deep thought, you will be surprised how much you can agree or even disagree with your statement. “Is this true of how I really feel about myself”? “is this the Ego trying to have a go at me by trying to drag me down with it”? This action can help you work out if you are under or overbalanced with your chakra. If you are balanced, there should not be anything to disagree with and there would be no reaction to doubt or be overconfidence. The main aspect of the third chakra is not to allow the Ego to become the uninvited guest in your home. Your inner self is your home make it comfortable and livable to be in. As just mentioned with the mirror, this can be a great way to find the issues, some may even be deep-seated so this is why is it important to write down what you feel, say or think. When they are deep-seated you may find it difficult to work out why you said that or felt and thought about yourself. You may even doubt what you are saying, in time, these deep-seated issues will re-surface and by having this written down will start to make sense then. So please take notes and the answer will present itself to you along your journey. One of the Great ways to begin the balancing process is via meditation. Through meditation be it guided or just to relax in silence, can provide not only an understanding of the reasons for the imbalance but may even provide you with a solution or option to take. Using colour via your meditation can heal to strengthen your chakras. 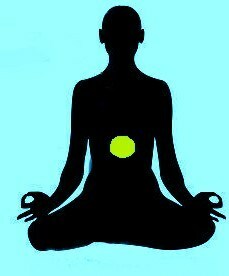 In future articles, I will present some methods of meditation that is beneficial for beginners and also intermediates. Those who are already advanced in their certain ways of meditation and their methods are also welcome as you never know what other aspects may pop up that may need some thought or even challenge that balance you may or think you may have. That would also depend on your current thoughts as you read this. Using Crystals to help not only balance the chakras but also can be very beneficial to heal and help to re-align the body and soul. Yellow Jasper, Citrine, Yellow Tourmaline, and Tigers Eye. In fact, any of the yellow crystals will work. 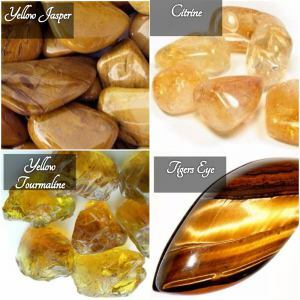 Tigers Eye helps to strengthen willpower and in doing so it will help to motivate yourself to action. Pyrite is a great stone to help you look within yourself. Perhaps you could hold this stone in one hand while doing the Self-test mentioned above with the mirror. 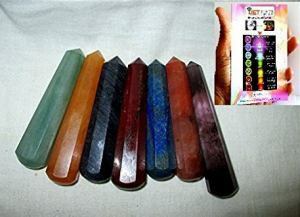 Those who wish to use individual Crystal Wands which can be placed or used over each individual Chakra. These are also very powerful Wands that can be used for an even greater benefit. There are also great for those with skills in Reiki, Crystal Healing and other healing and energy modalities. Using the properties of the essential oils can help you get back in focus with Mother Earth (the first or root chakra) as the essence of the oils are derived from plants and their energies and healing is present in these oils. These can be used in a burner, or even applied to the chakra area. 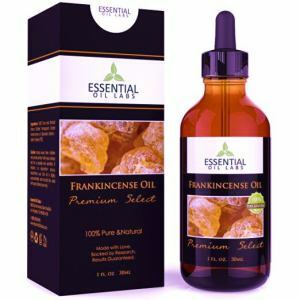 Ensure that if applied to the skin that you may need to use carrier oil that is blended in as some essentials oils can be irritating to the skin for some people. If in doubt see your local herbalist or better still an aromatherapist who can ascertain which oils are best for you. Some of the best oils of the third chakra are Frankincense, Clary Sage, Rosemary, Lavender, Lemon, Bergamot, and Patchouli. You can always buy a few of the above and experiment which you feel the most at ease with when relating to the third chakra along with other chakras. When used in a burner, any of the above is fantastic to just purify the atmosphere and work on releasing negative energies around the home, and any other area when you feel at dis–ease. This can also apply in using incense sticks and White Sage Sticks are super beneficial in releasing the negative energies not only from the home but it can also cleanse you of the negatives energies with a simple technique using the Sage normally known as Smudging. As the colour associated with the Solar Plexus is Yellow. Wearing yellow clothes or parts of yellow particularly around the Solar Plexus area is very beneficial. Perhaps you could wear a yellow top or shirt, even a scarf that is yellow or has strong components of yellow within it. Make sure it is a bright and clear yellow, not mustard or darker form. You would want to absorb the brighter form for a more positive outlook. The same can go for food. Eating foods that are yellow in nature allow you to absorb their essential energies that have been provided by Mother Nature. Foods such as Yellow Capsicum (peppers in some countries), bananas, yellow squash, corn. Such foods can do wonders for the body and if you are able to get organic foods even better. Now, although we have mentioned that the first three chakras are known as the Lower Chakras, they also play a critical role towards your spiritually as well, not just on the physical. The first chakra relates to the grounding of the physical self but this grounding is required before the true self (spiritual) is able to move forward. Remember when it was mentioned using Essential Oils? Mother Earth is providing you with the quality and energies of the plants back to you in the form of an essential oil. 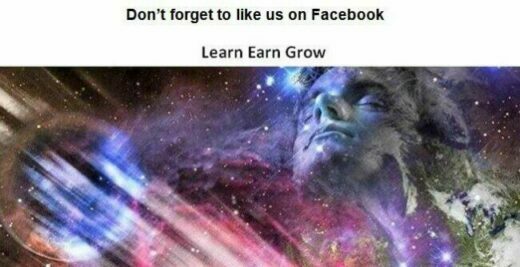 As you have learned to become grounded and connected and being part of Mother Earth. Once more, her power comes back to thank you for your presence in the form of Essential Oils when you need it most. Now, this also sets in motion with the Sacral or second Chakra which allows you to be connected with nature via your thoughts and feelings in the form of emotions. It allows you to understand there is a balance in all life, not just the physical body but also all that exists on Earth. For some this is called humankind for others this is called nature and all life and elements that exist on Mother Earth. This sets the foundation for your emotions of understanding. 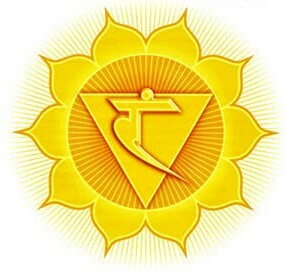 When this foundation has been achieved, the third and final aspect of the Lower Chakras, the Solar Plexus brings forth your self-worth and understanding of such emotions without that Ego attached. Here, you display the strength and fortitude to have self-control without the need for EGO or for just wanting this and that. Here you will find that gratitude and be able to “Just Be” at one with Nature and with ALL THAT IS (physical, mentally, emotionally and spiritually (The Four Quadrants of Life). Now you are on the balance between the physical and the spiritual.